Feeling cooped up? Bored and restless? Imprisoned in your own home? Get a grip! 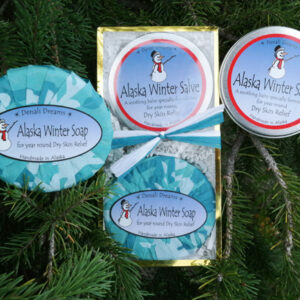 Break free from cabin fever blues with this traditional Alaskan soap remedy. Start with this finely handcrafted soap infused with mood enhancing essential oils and ease yourself into a nice warm tub. Soak your cares away. Scrub off melancholy. Rub away disenchantment…… Breathe deeply and let your life force be renewed. Scented with essential oils of juniper berry, sage, litsea, and lavender. 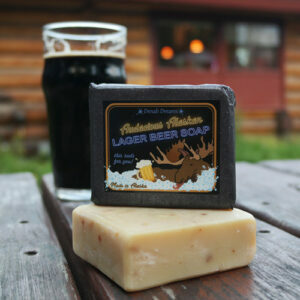 A 3.3 oz bar of Cabin Fever. Option with a brown oval soap lift. This soap smells so wonderful wth a nice light exfoliant mixed in. By far my favorite scent they make.